Uttar Pradesh has long been one of the worst administered states. Children’s deaths in Gorakhpur recently hogged the headlines, but are hardly new. Ex-bureaucrat V Ramani has unearthed an RTI re sponse showing that between January 1, 2009 and November 30, 2011, 31,791 children were admitted to the Gorakhpur hospital, and no less than 3,745 died, 1,311 of encephalitis.Half the qualified medical posts and 40% of nursing posts were vacant. Similar problems afflict every sector in UP . Like many predecessors, Chief Minister Yogi Adityanath has promised to overhaul governance. During a recent visit to Lucknow, two senior bureaucrats told me the Yogi was more serious than any chief minister for decades, and was not simply a Hindutva fanatic. Yet UP’s history has long been one of broken promises and dismal outcomes. Poor governance is deeply embedded, and will resist overhaul. There are some green shoots. One of the most difficult areas to reform in any state is electricity . Huge subsidies for rural and urban domestic consumers have plunged most state electricity boards deep into the red. Chief ministers need to bite the bullet and push through major tariff hikes and reductions in theft. The Yogi has bitten the bullet. The state has proposed tariff hikes of up to 360% for different categories of rural and urban domestic consumers, the average hike being 22.6%. Industry rates have not been raised at all -the state wants to attract industry , and its rates are already high. This is the very opposite of the populism typical of a new chief minister. Can UP follow the Gujarat model? There, companies in generation, transmission and distribution all show profits.As Chief Minister, Modi cracked down on power theft, raised tariffs, metered and supplied power to almost all villages, and bifurcated electric feeders to villages. This enabled him to supply 24×7 power for domestic use and six hours per day for agricultural pumps. Profitable industrial and commercial consumers account for 52% of consumption in Gujarat, against only 30% in UP , which cannot therefore depend on cross-subsidies from industry for farmers. It currently loses Rs 2.07 on every unit of power supplied. Apart from subsidies for rural and urban domestic consumers, power theft and corruption are rampant. The state’s Aggregate Commercial and Technical (ACT) losses average 31% across its distribution companies. The Yogi seeks to slash this to 23% in a year, a huge challenge. Technical losses in transmission should not exceed 8-9% supply. Anything more represents theft and corruption. of supply . Anything more represents theft and corruption.ACT loss is a whopping 60% in Meerut, where politically powerful vote banks and industries have long siphoned off power in collusion with corrupt electricity officials. Checking theft requires strong police support. But police stations in UP are under-staffed and fully occupied with major crimes and public order. They have no time or staff to check electricity theft: unfilled vacancies for constables exceed one lakh. Yogi’s radical reform proposal is to create one new police station in every district dedicated to checking electricity theft. That can be a game changer. A senior official says, “This is the first government in my time to say we should go after all thieves without exceptions or mercy .“ Brave words, but implementation has never been the state’s strong point. Following court orders, exams are being held to hire one lakh constables. These will be based largely on objective questions in a written exam, not school marks, since cheating is so rampant that school marks mean nothing. The state’s `Electricity For All’ scheme aims to electrify every household by October 2018. That means doubling the current number of connections: an additional 1.12 crore rural and 15 lakh urban consumers are to be covered. Up to 10 lakh diesel gensets of farmers will also be converted to electricity . The Yogi claims rural power supply is up from 12 to 18 hours per day . Grassroots reports suggest substantial improvement though not to the extent claimed.Critics, including buffalo traders and meat processors, say the Yogi is keener on cow protection than electricity . Officials claim that in four months, the BJP government has metered 3.25 lakh unmetered connections, and provided 12.5 lakh new connections. 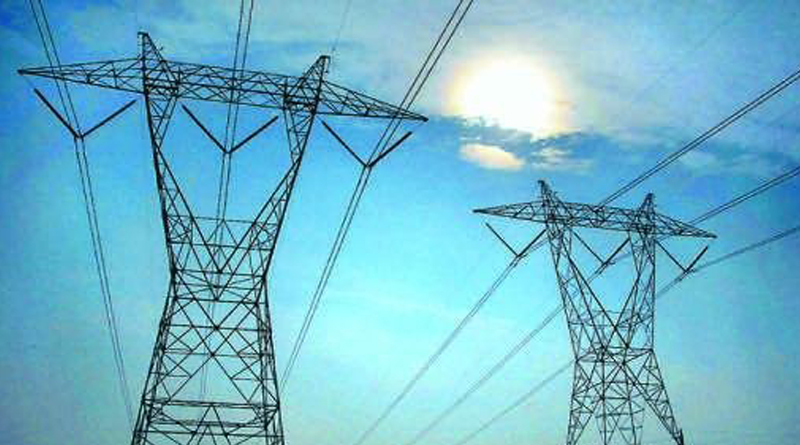 They say in the April-June quarter, electricity supply rose 18% while revenue jumped 30%, reflecting better collection. Will this be sustained? Will the BJP resist the temptation to waive rural electricity dues when the next election approaches? Is the Yogi serious enough, and bureaucracy honest and efficient enough, to stop power theft and collect bills? Let’s see. The Yogi’s power reforms have started well, but have miles to go.